Looking back at 2010, what do you see? What are your hopes for the year ahead? It’s hard to get used to the enormous number of visitors IELTS-Blog is seeing. In 2010 we had over 2.2 million people over, who downloaded more than 9.5 million pages! I am thrilled to see these numbers growing every day, and that more new readers choose my books for their exam preparation. My sincere thanks goes to people who sent me their testimonials and wrote reviews for my books, this is the best gift any author could ask for. I would also like to thank all the test-takers who shared their exam experiences and tips for success, and to all the teachers, tutors and trainers who use IELTS-Blog.com as a source of materials for their classes. The teachers at Benchmark have a special place in my heart – these kind people worked very hard correcting essays, letters and reports for everyone with a remarkable speed and accuracy. Thank you, ladies and gentlemen, for helping many students raise their IELTS scores in 2010, and we all are counting on your help in 2011. I feel incredibly lucky to be where I am, because every day of my life is filled with opportunities to help people, to fix things that went wrong for someone, to make your life easier and to help make your dreams come true. To have your trust means the world to me, and your support enables me to carry on with my work, 365 days a year. 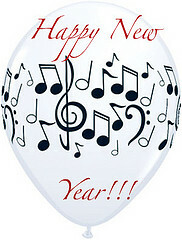 Thank you all for that, and I hope that 2011 will be peaceful, successful and prosperous for you. Happy New Year 2010 from me, Simone Braverman, and the whole IELTS-Blog team!